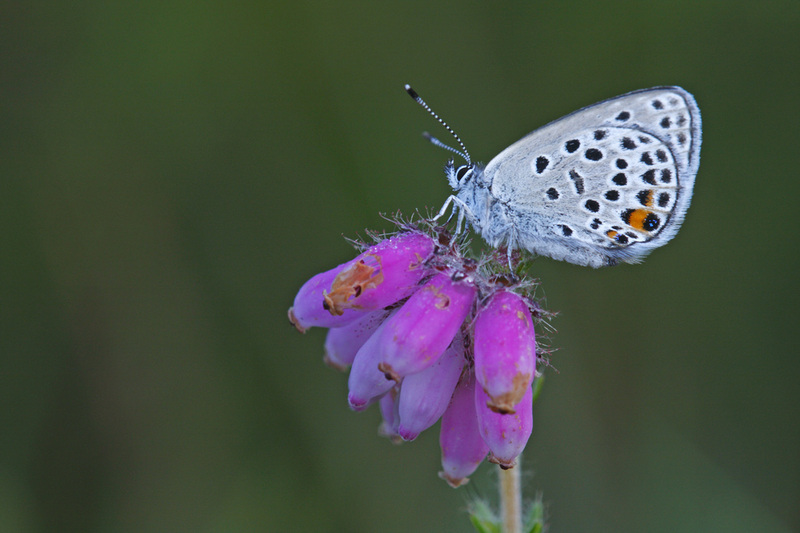 The male upperside is a deep violet-blue. The female is sooty brown with variable amount of violet dusting at the base. Both sexes have white fringes. The undersides of both sexes are brownish grey, with conspicuous white-ringed, black post-discal spots on both wings. 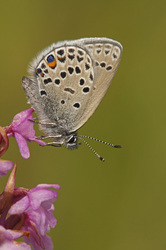 The hindwing has two rows of black lunules near the margin and a prominent red submarginal spot. 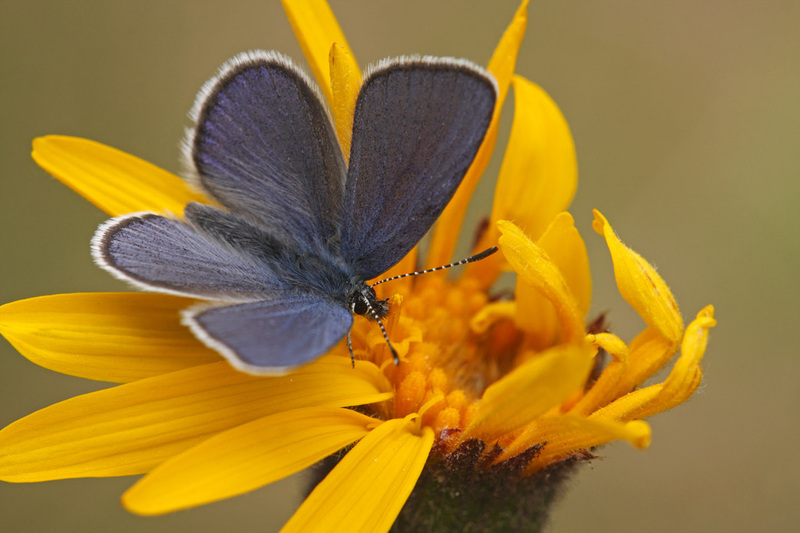 This is bordered on the outside by shiny blue scales. Flight from June to August. 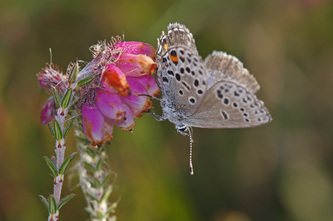 The larval foodplants include Cranberry and Bell Heather. 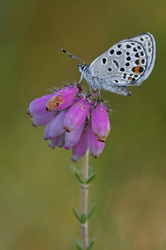 The habitat is from moors till mountain slopes. 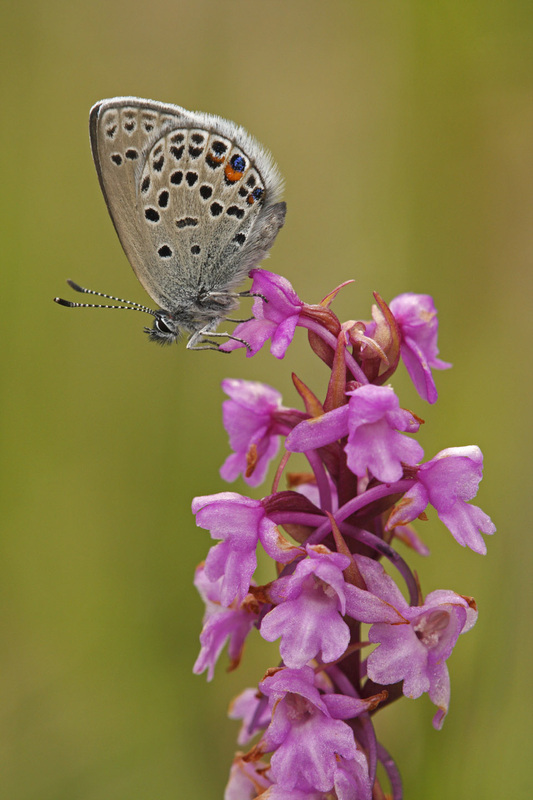 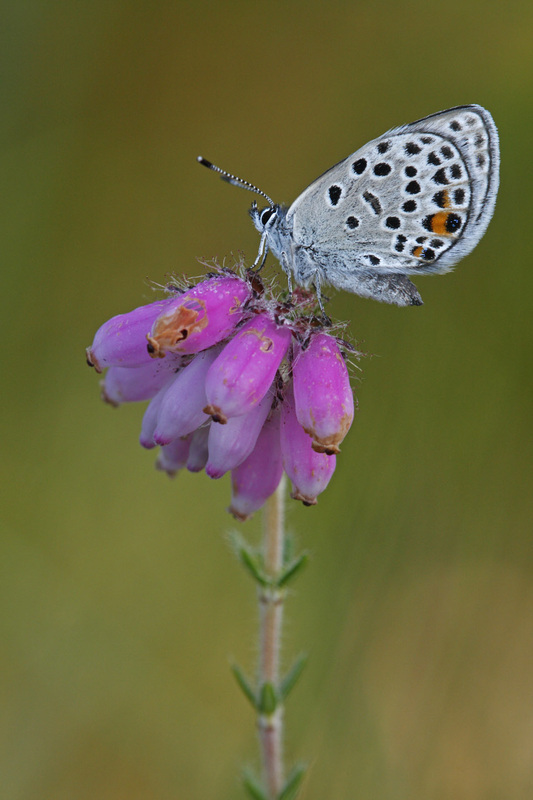 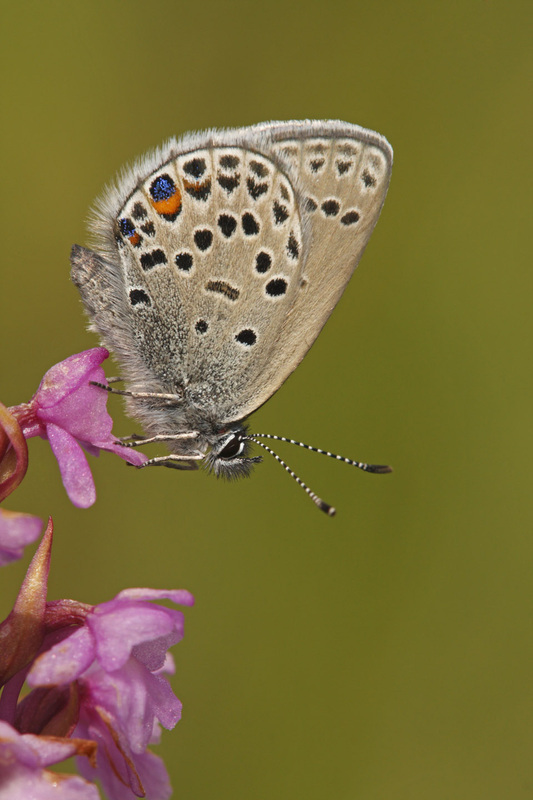 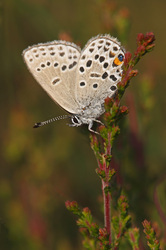 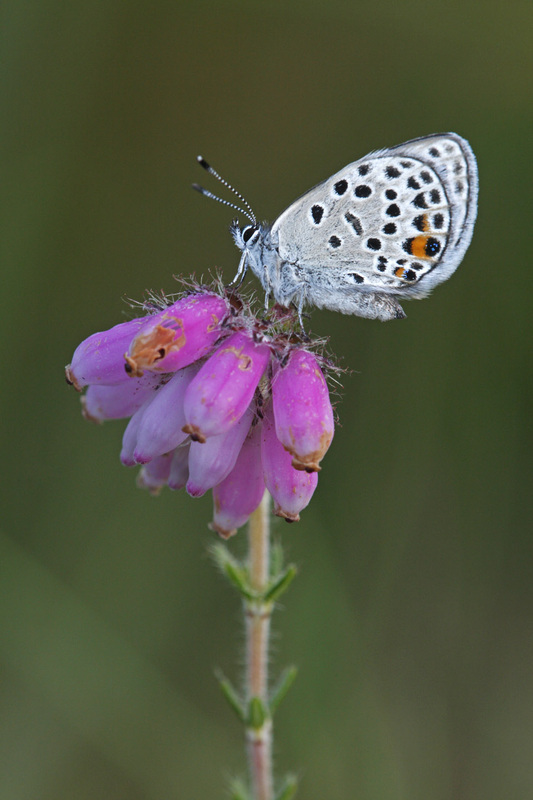 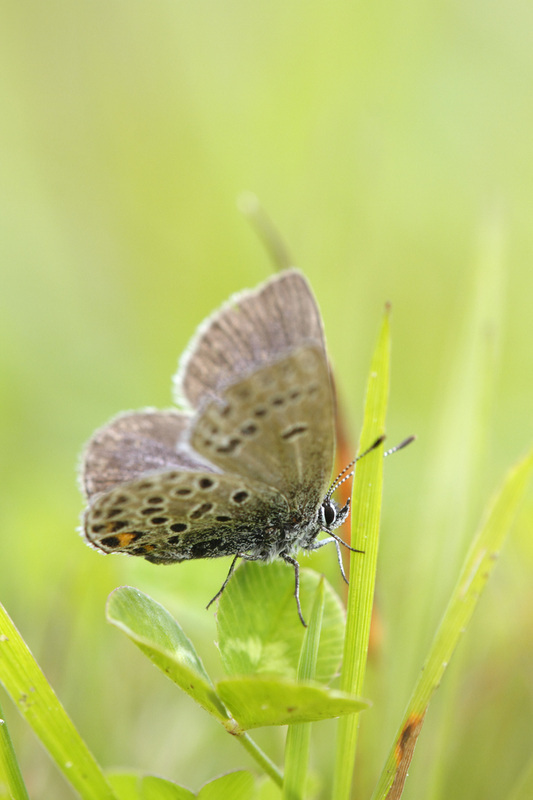 The Cranberry Blue is a critically endangered species in Europe.